GARAGES & WORKSHOPS NEED A LITTLE TLC TOO! 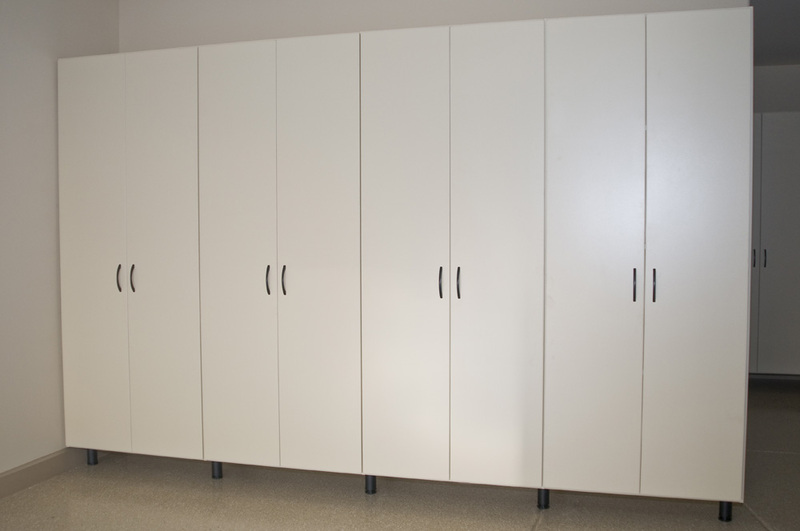 Garage Organization solutions from Classy Closets can help! Can you barely squeeze your car in the garage… or maybe it doesn’t fit in the garage at all! Are you tired of tripping over and stubbing your toe on all the things stacked up and spilling over in your garage and/or workshop? Your garage and workshop can quickly turn into a no-man’s land of dumped and forgotten items with camping gear and gardening tools in disarray and haphazardly buried under all the tools that never got put away. Usually, the reason things don’t get put away is that there is NOWHERE TO PUT THEM! But never fear! It’s not hopeless! 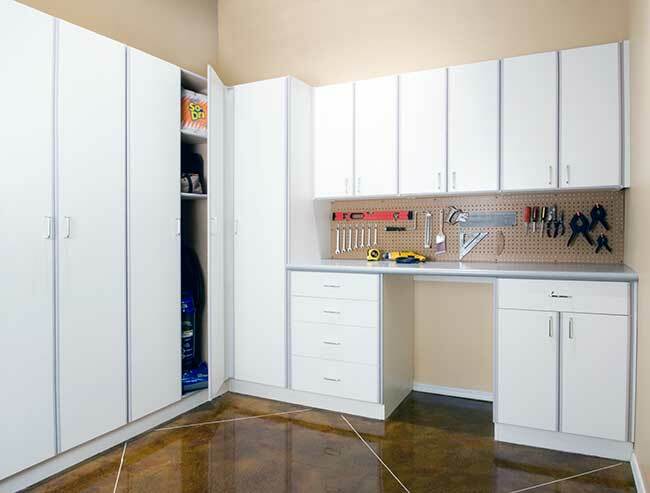 Classy Closets has endless options for durable, functional cabinets & shelving, workbenches with tools & accessory storage solutions, flooring, storage racks and more; that will turn your garage or workshop from the space you avoid… to the place, you love to be! Neat, Orderly, Functional and Practical! 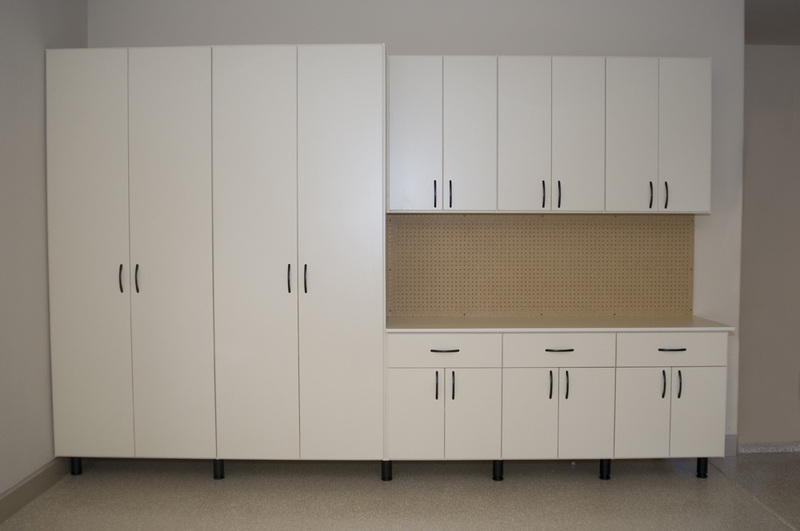 Don’t procrastinate converting what is often a large portion of your home’s square footage into a functional and effective storage and workspace. 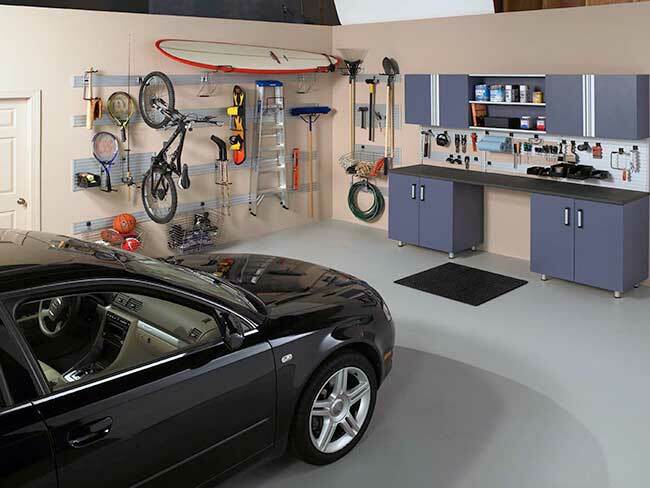 Our Expert Professional Design Team can maximize the functional storage and workspace in your garage or workshop in ways you would never have thought of yourself… and for FREE! Just call our office today and we will schedule a FREE Consultation with one of our Professional Designers to come to your home and discuss how to custom design a space that best suits your needs and desires whether it’s a workbench, storage cabinets & shelves, accessory racks, or flooring… we’ll have the perfect solution for making your life easier and your space more useful and functional! It’s as easy as 1, 2, 3…. Step Two: Meet with one of our Professional Designers to custom design your space for your specific needs. Step Three: Approve the Custom Solution your personal Designer comes up with specifically for you, and it will be custom manufactured in our local state-of-the-art manufacturing facility. And because we manufacture locally we are able to do fully customized solutions and build anything you and your designer come up with, deliver and install more quickly, and offer a better product at a better price. 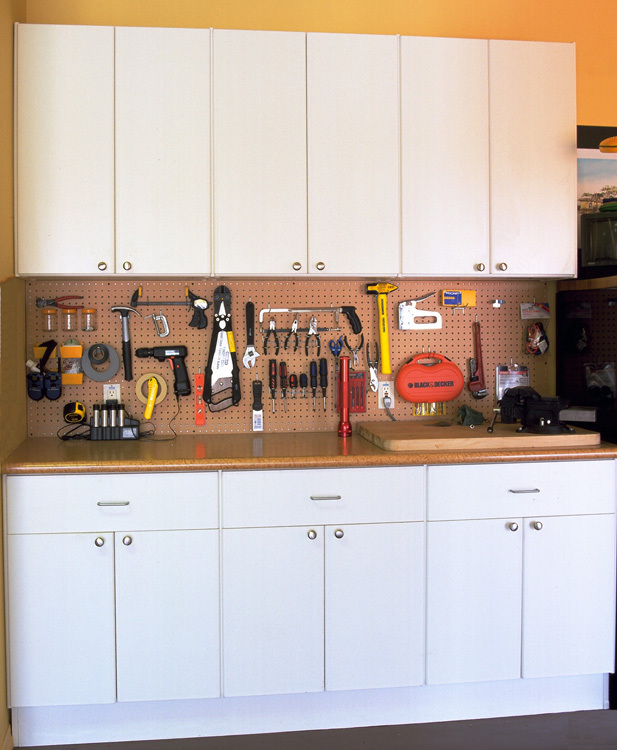 Step Four: Our Professional Installers will show up at the arranged time and install your dream workshop and/or garage storage solutions, clean up after themselves and leave you with a very large smile on your face as you roll up your sleeves and get ready to have some fun in a space you can now enjoy! Is it time to stop procrastinating and get ready for your upcoming projects? Time to stop being frustrated and come up with solutions? Schedule your FREE Consultation with a Professional Designer Today! Men, you may be hesitant to have someone come into your space and try to rearrange things. But no need to worry when you work with Classy Closets! Our Design Experts will take the time to discuss what your needs and desires are so they can design a space that is exactly what you want… after all, that’s what we specialize in! 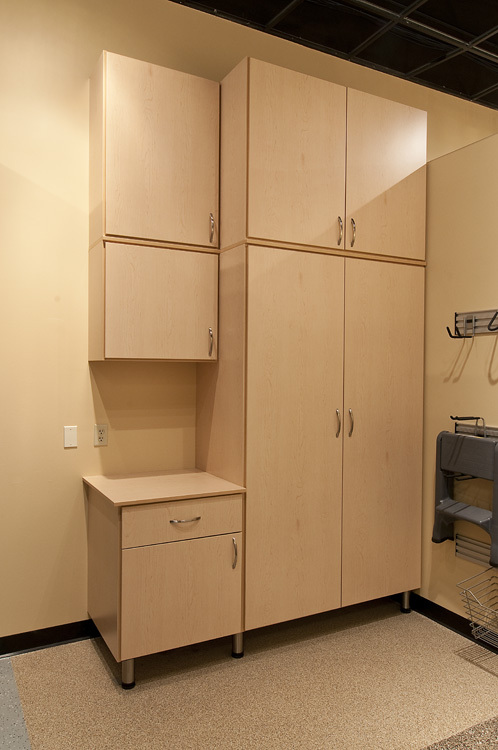 Our goal is to make your life easier by creating a more usable workspace and implementing storage options that are perfect for you and your needs. 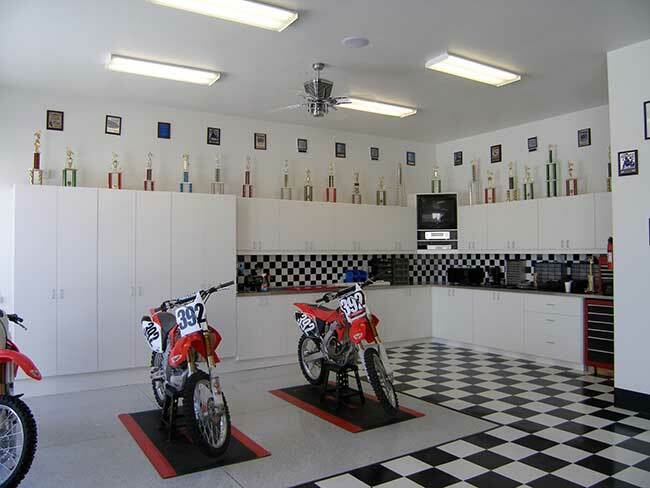 We assign you a Garage/Workshop Organization Specialist to work with on your project from start to finish. 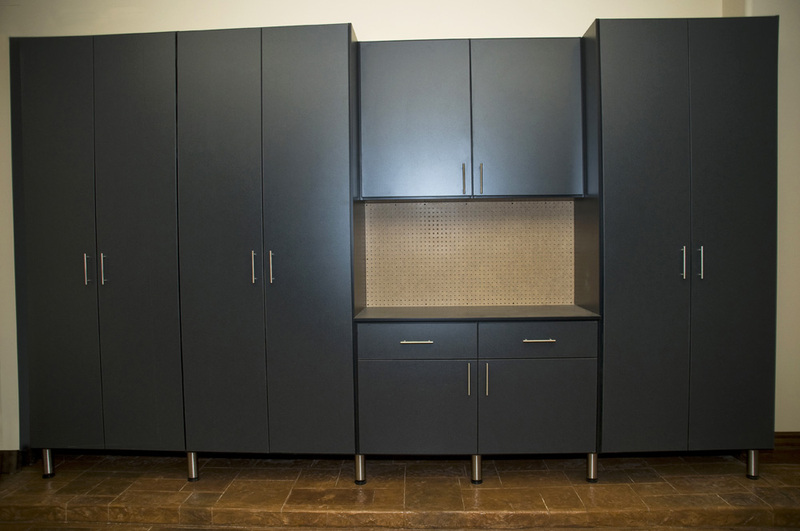 Our Professional Designers are Experts and will help you make storage and space decisions regarding usage, functionality, size, colors, and storage options that will make your life better. 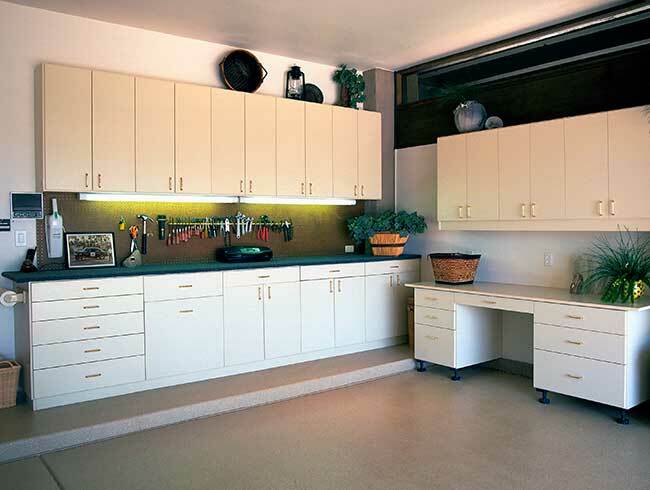 They will walk you through the entire process of transforming your garage and/or workshop into a functional space designed for your specific needs. Contact us soon to begin your project! 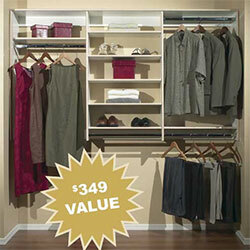 The OMNI Track System is a versatile storage system designed to look great anywhere in your home. Omni Track combines a functional high-tech design and a gorgeous, anodized finish, with a versatile selection of track configurations and hangers. The result is a storage system so smart and stylish, you’ll want to invite it into other rooms in your home as well. Go ahead, load it up. 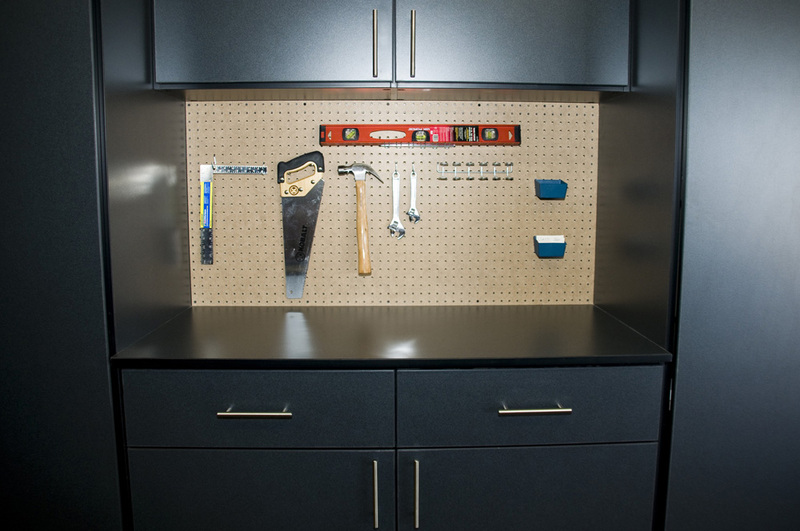 After all, strength is important when it comes to hanging tools and equipment for storage. Whether it’s a leaf blower, a bike or a basket of cleaning supplies, you need a track and accessories that are strong, stable and versatile. 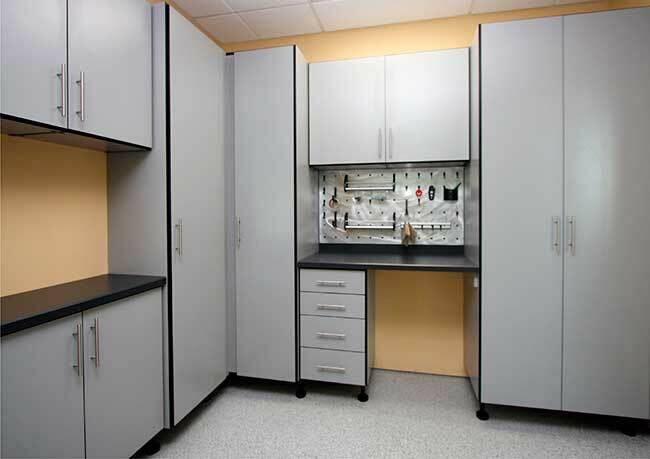 The OMNI Track Storage system has a carefully engineered design. The track is thick and durable. It won’t flex or twist, thanks to a rigid aluminum alloy construction. And each hook and hanger accessory is crafted to perform its assigned task safely and securely. 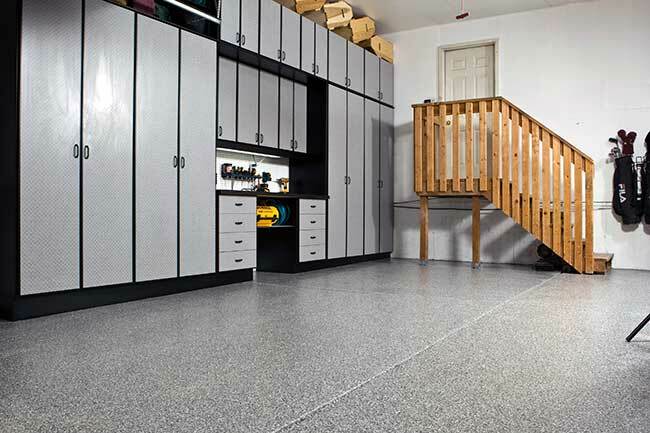 Upgrade your existing track system with Omni Track or add it to your existing garage. It’s easy to install and you can do-it-yourself. 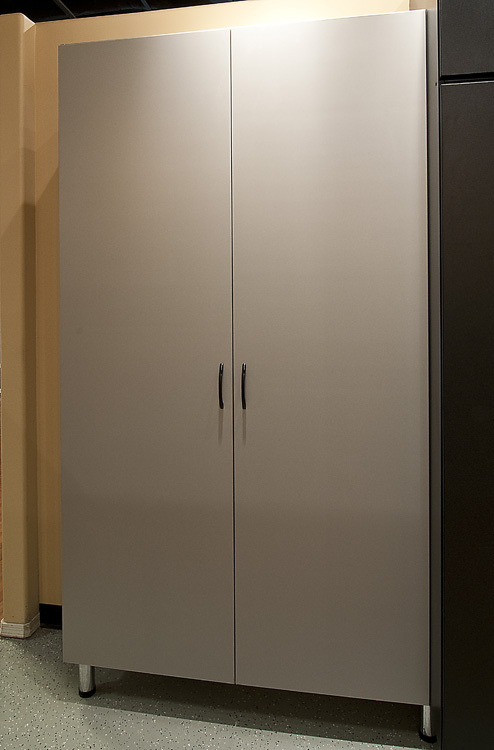 We can ship it directly to you anywhere in the continental United States or we can add and install it for free with your purchase of a new OMNI Garage or Workshop (totaling $3,500+) from Classy Closets here in Northern Utah. OMNI TRACK WALL ORGANIZATION SYSTEM…. Wall Mounted with UNLIMITED CONFIGURATIONS. Call and Schedule your FREE Design Consultation Today!